For all the bloggers who like to get in on where the action is and shoot their own videos, capture and process their own photography while adding a unique and professional touch to their work, I’ve found some fun and powerful gadgets for you. Forget about Photoshop, that requires a special skillset to spice up your photography work and forget about Instagram or Youtube, you have to rely on their presets, filters and templates for your stuff. Here are some Kickstarter products in the Apple Gazette Store that will get your creative juices flowing toward your next project or publication. CinePress is a cycloptic robot spider that rolls around devouring all humans in its path…nope just kidding. 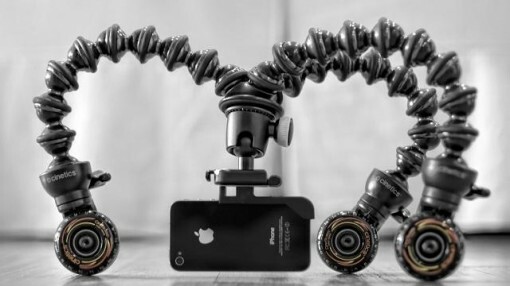 Its a portable rolling tripod slider system for your iPhone or digital camera enabling rich fluid motion capture, rolling video eliminating bulky and expensive camera gear. 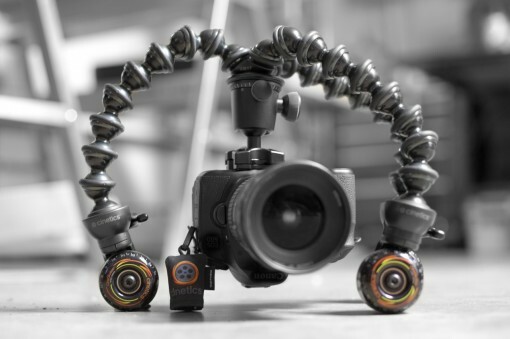 It works specifically with the GorillaPod Focus tripod. Cineskates produces shots at angles that would normally be impossible arcing and rotating around objects, rolling shots that glide over subjects and “worm’s eye view” shots that slide and hover just above the ground to name a few. Cineskates is perfect for the photography/videography blogger who wants a new angle and perspective for shots and building a great reputation for awesome quality content. You can purchase yours through the Apple Gazette Kickstarter Store here. 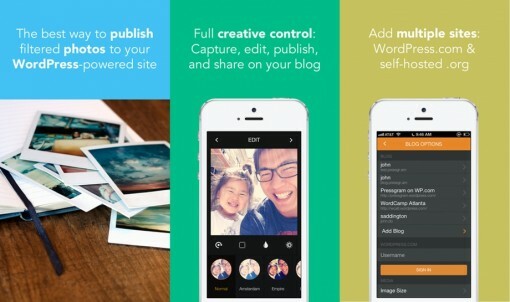 Instagram now has some competition among WordPress users. 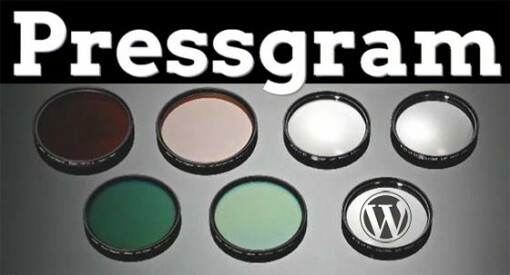 Pressgram is a free app allowing users to capture photos on their smartphones, add cool filters, then publish them to any WordPress blog. The app offers linear and radial tilt-shift blur effects, lighting, rotation, watermarking and border effects. A nice edition to your photography toolkit allowing you to seamlessly share your shots with your audience. Learn more about Pressgram here. The app is available for download in the iTunes App Store. 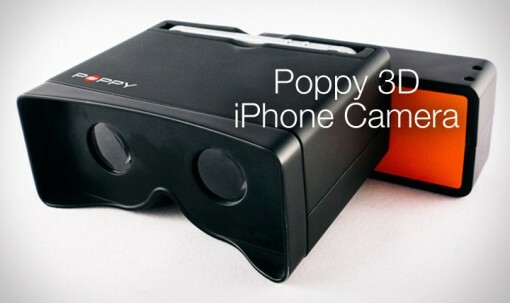 Poppy is the first created gadget for the iPhone and iPod that allows users to capture full color 3D video. Unfortunately, however, the peripheral is a bit bulky and works by sliding your smartphone inside Poppy while its mirrors capture 2 stereographic images using your device’s already built-in camera. The device creates crisp 3D video which combines both video streams. Poppy isn’t powered by electricity and relies on its 2 mirrors to create a cool 3D effect for videos and photography. My only advice is to use this sparingly since 3D images can be a bit overwhelming for some persons. Check out more on the Poppy here. 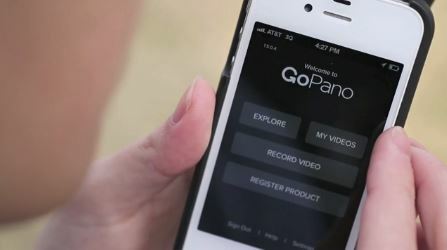 360° panoramic shots can be quite dizzying if the videographer doesn’t know what he/she’s doing but if you know you have the chops or are interested, the GoPano Micro Lens is an affordable option for iPhone users. The lens snaps onto your iPhone which then capture the 360 degree view once you start recording and allows you to easily publish and share media via the accompanying app. The lens captures resolutions up to 1920 x 456, doesn’t shoot photos and comes with a phone case to hold it in place. 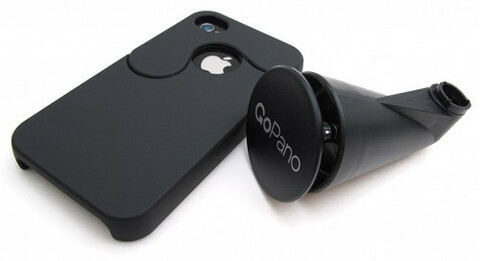 The GoPano is a neat addition to spice up your media intensive life. You’ll find many more products in the Apple Gazette Kickstarter Store to whet your media production appetite.